My late entry to last week's Trinquétte Publishing drawing challenge. Pencil and Photoshop. 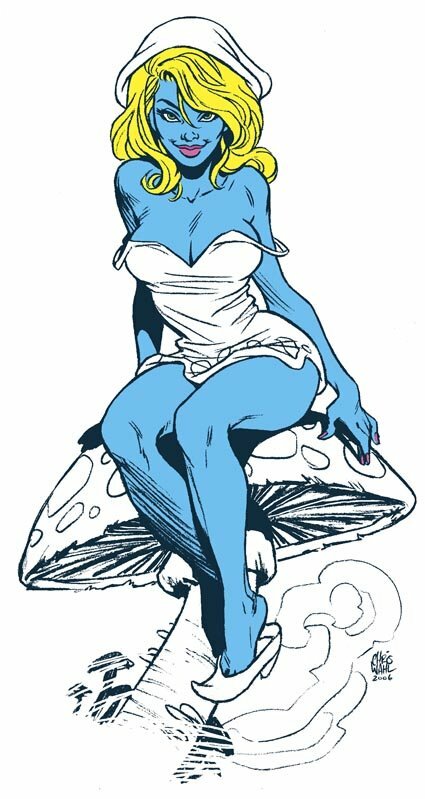 A revamped version of my 2006 Smurfette art done for an upcoming exhibition on the Gold Coast to help celebrate Queensland Pop Culture Week and the Gold Coast Film Festival. Ten of my artworks (including this one) will be on display at the Gold Coast Sofitel Hotel in April.